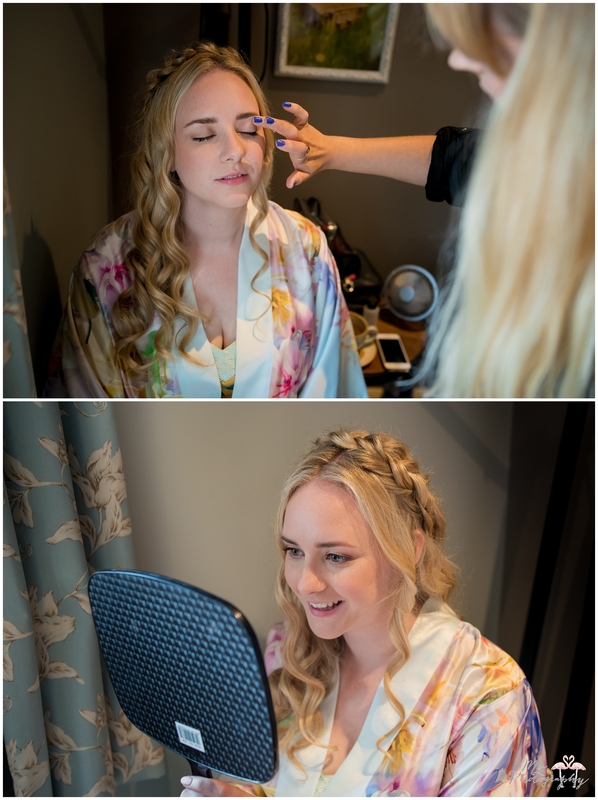 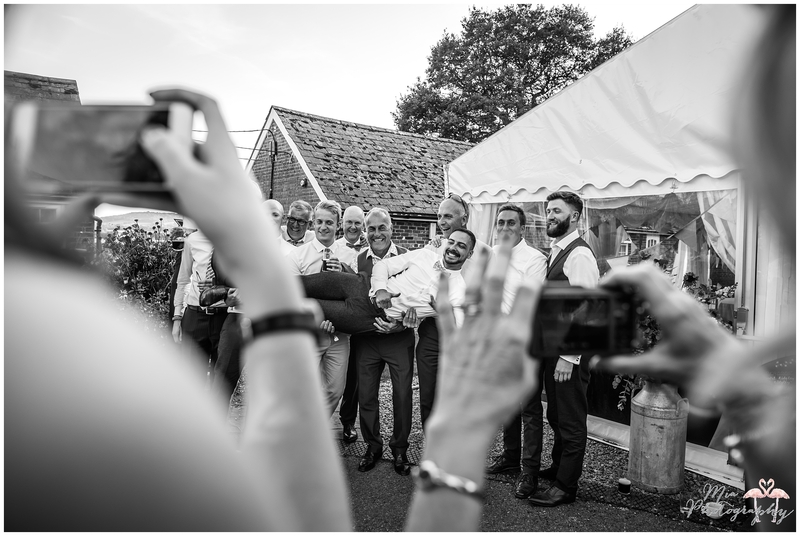 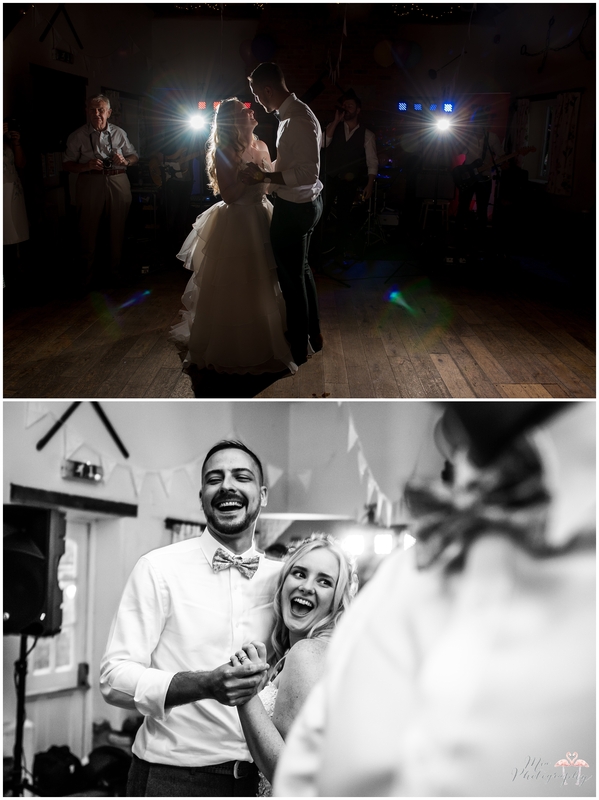 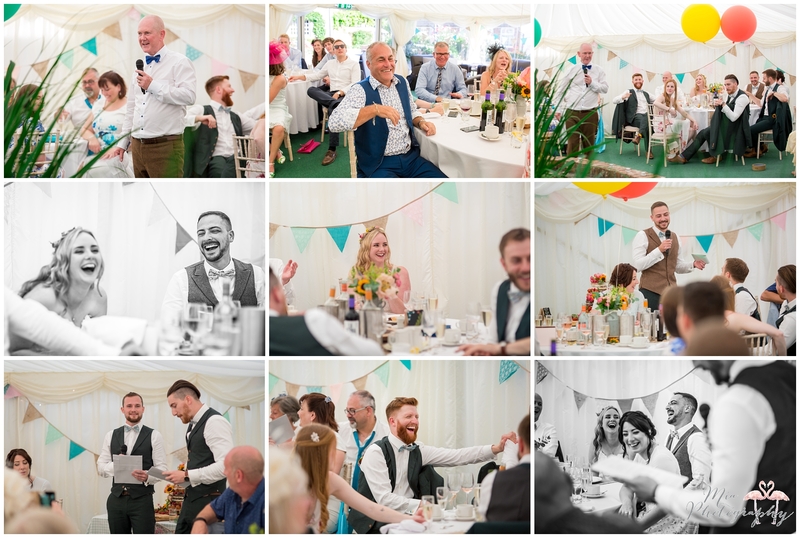 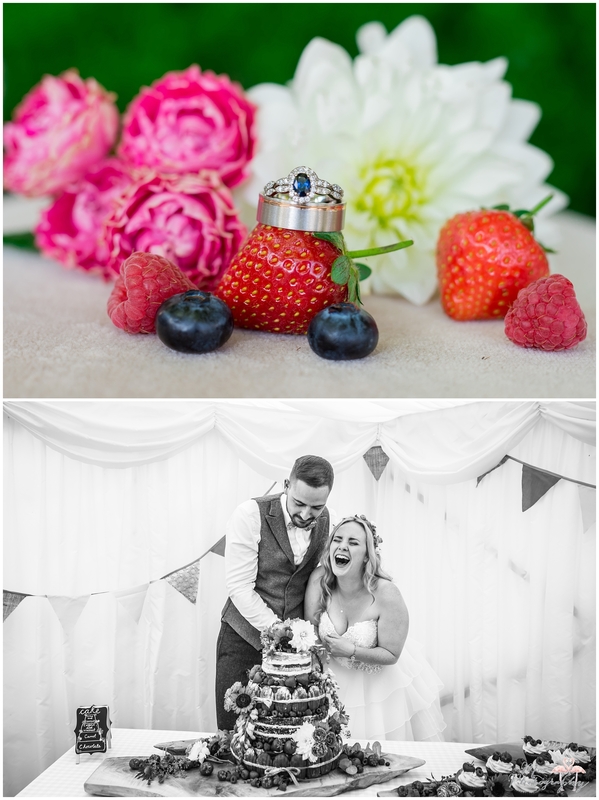 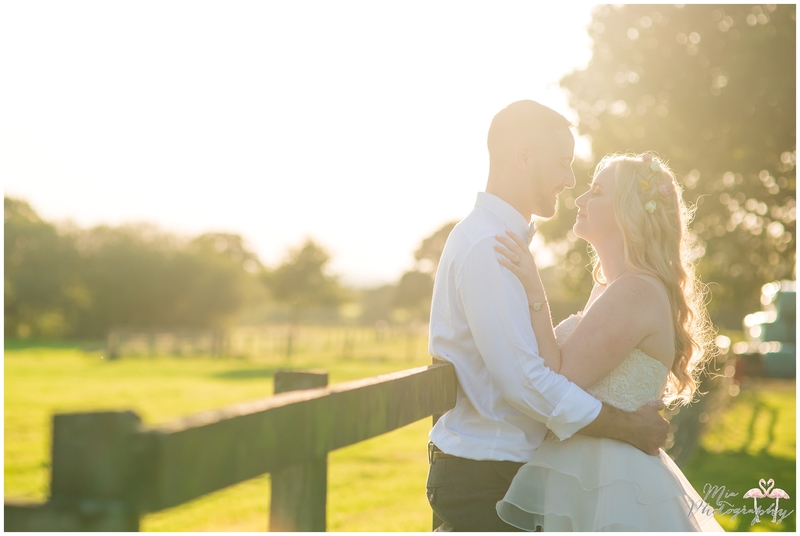 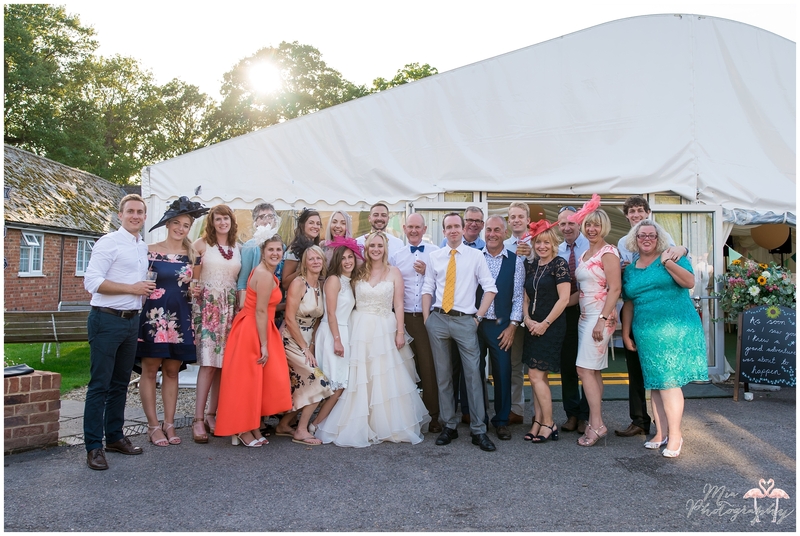 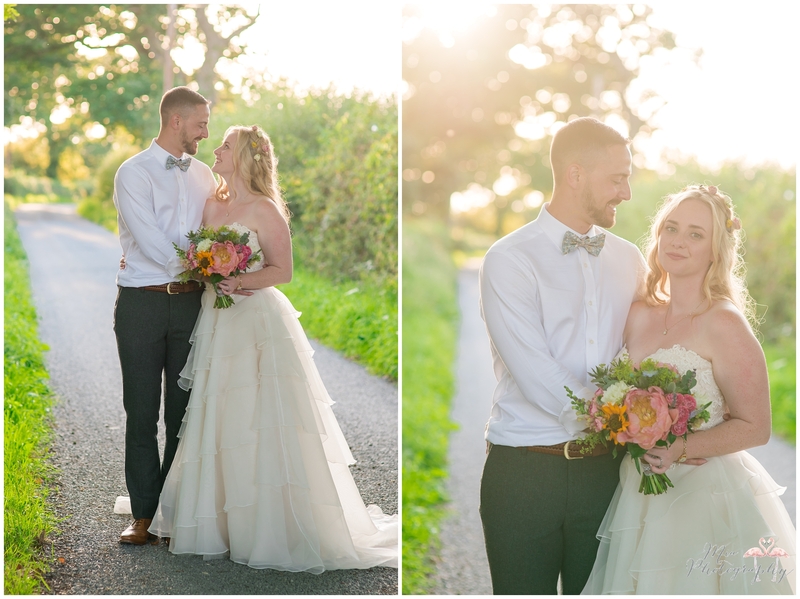 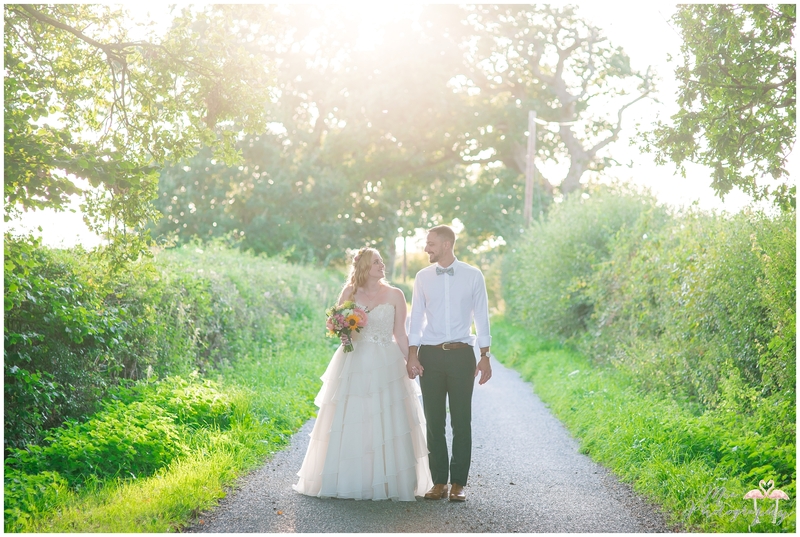 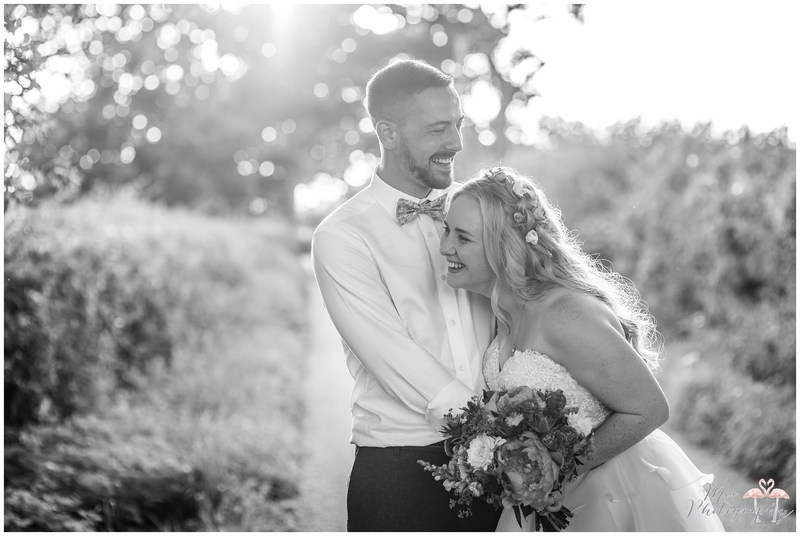 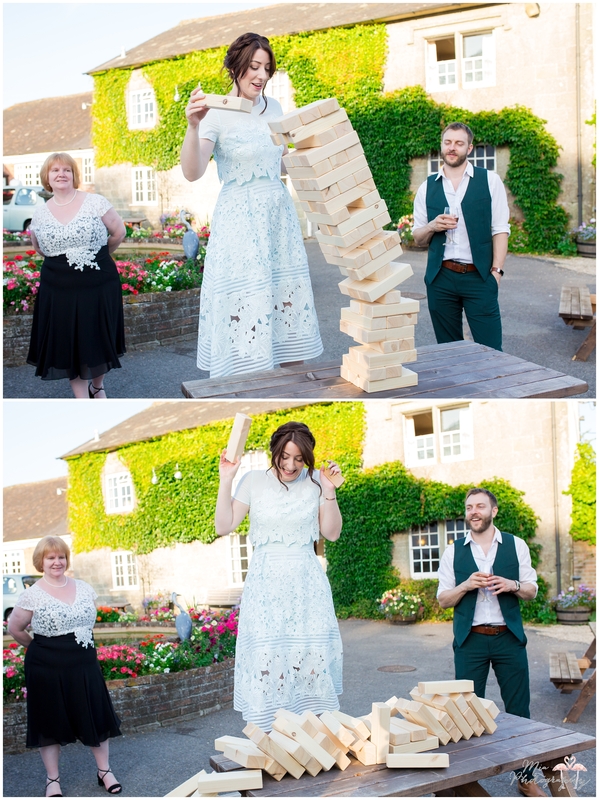 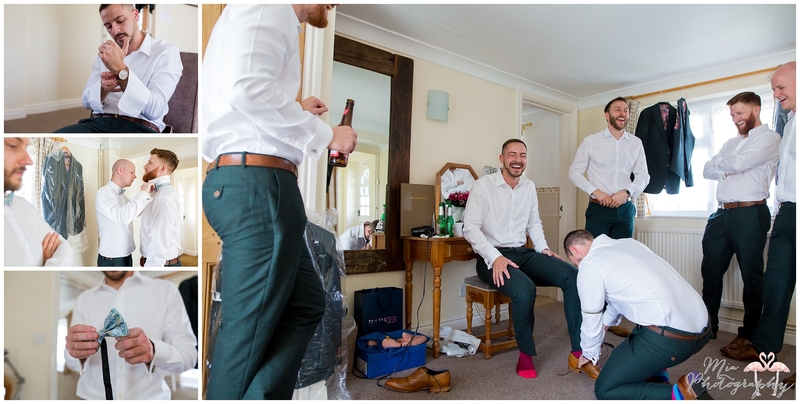 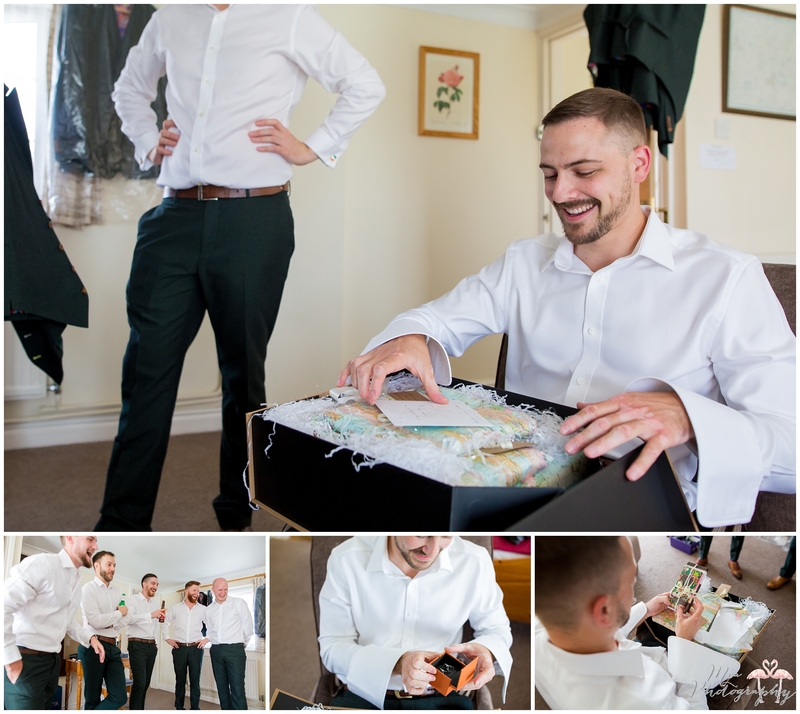 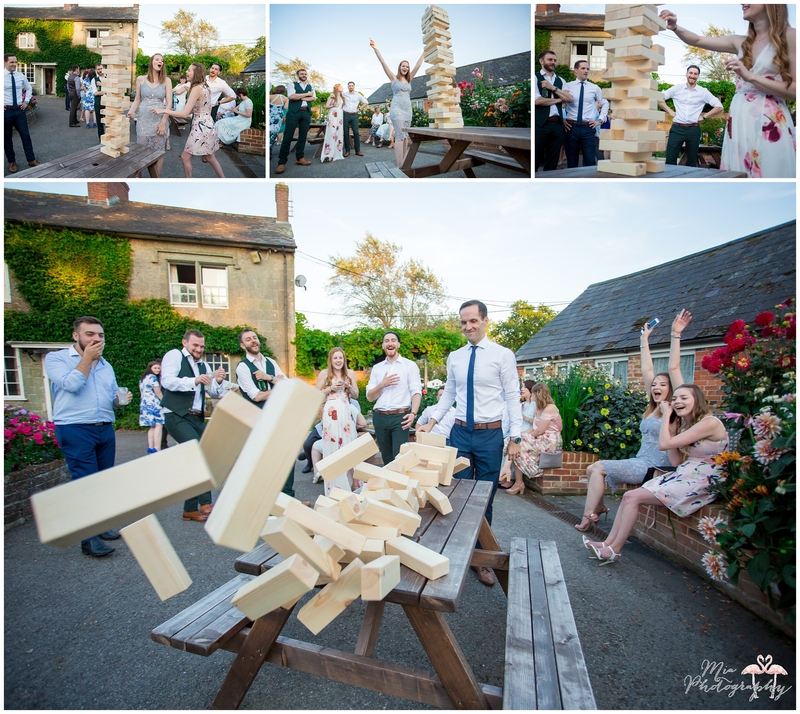 Ahhhh Harriet & Car’s wedding this August at Coppleridge Inn in Dorset was so amazing I don’t know where to start! 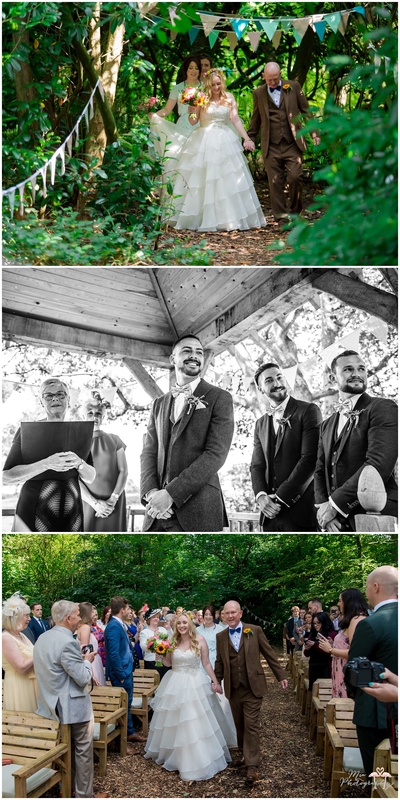 So many wonderful things happened and there were so many beautiful things to look at… ooh it was a treat! 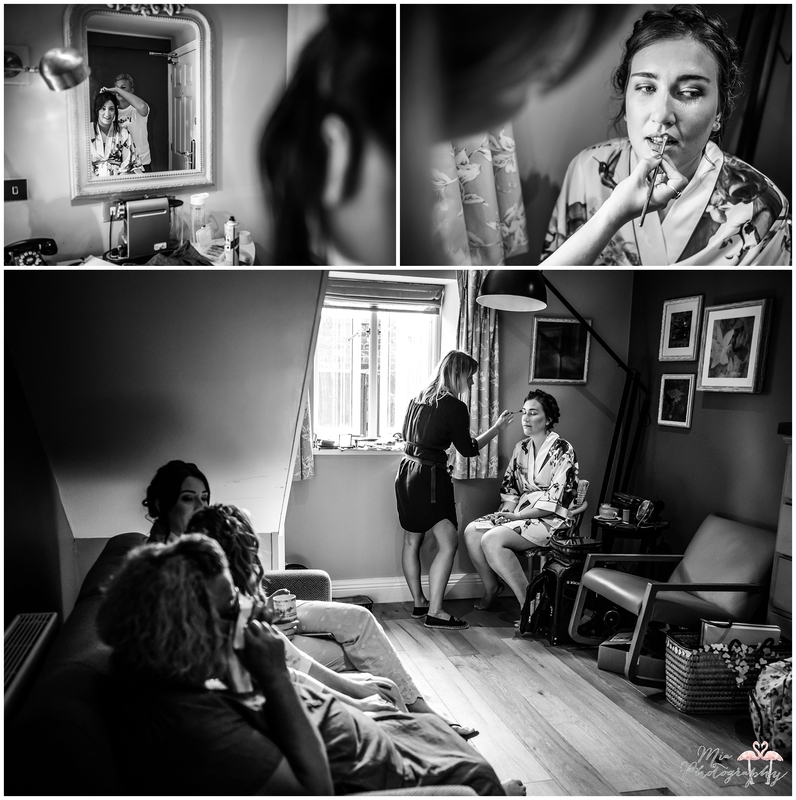 Harriet, her maids and Mum got ready at The Lamb pub in Dorset, just round the corner from The Coppleridge Inn whilst the boys finished off the venue and got ready too. 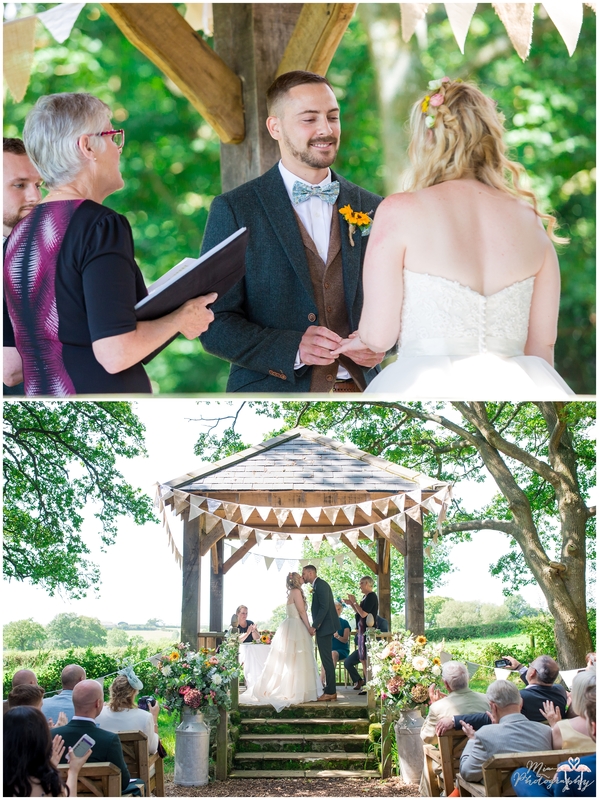 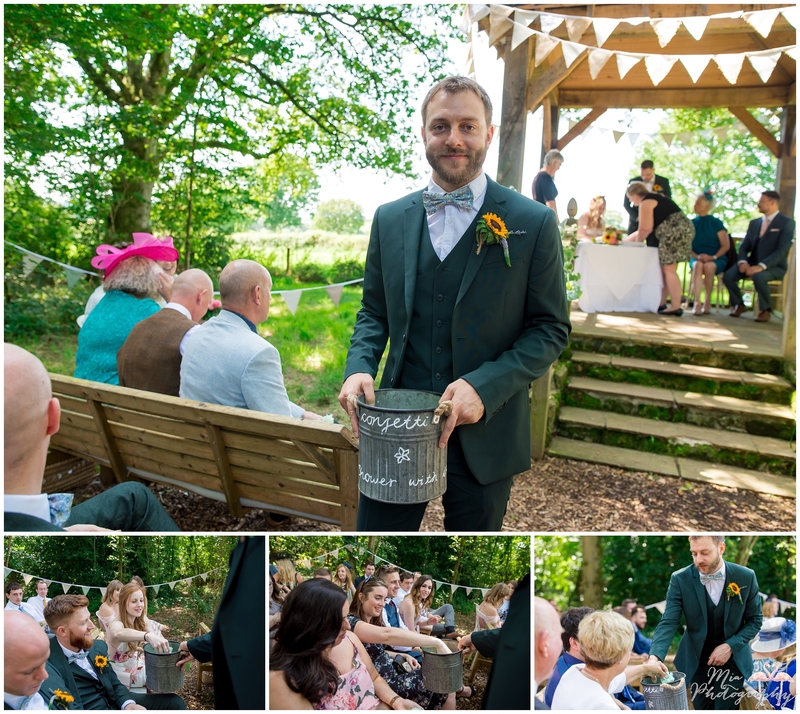 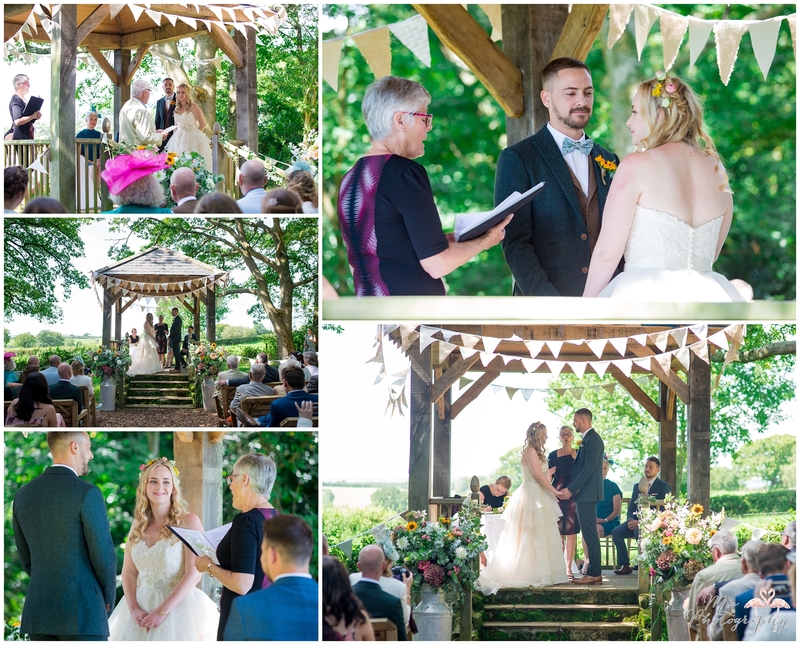 The venue is really unique – the ceremony can be held outside in the woods at the end of a winding path and under a bandstand-esque structure, whilst the reception is held in a marquee on the courtyard of the pub. 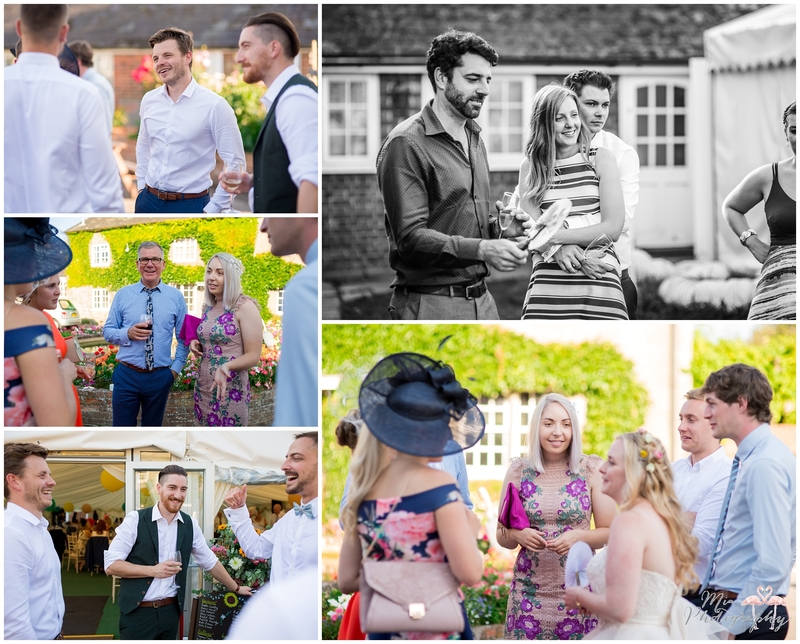 The court yard actually has a pond in the middle of it which becomes encased inside the marquee, something I’ve never seen before but loved! 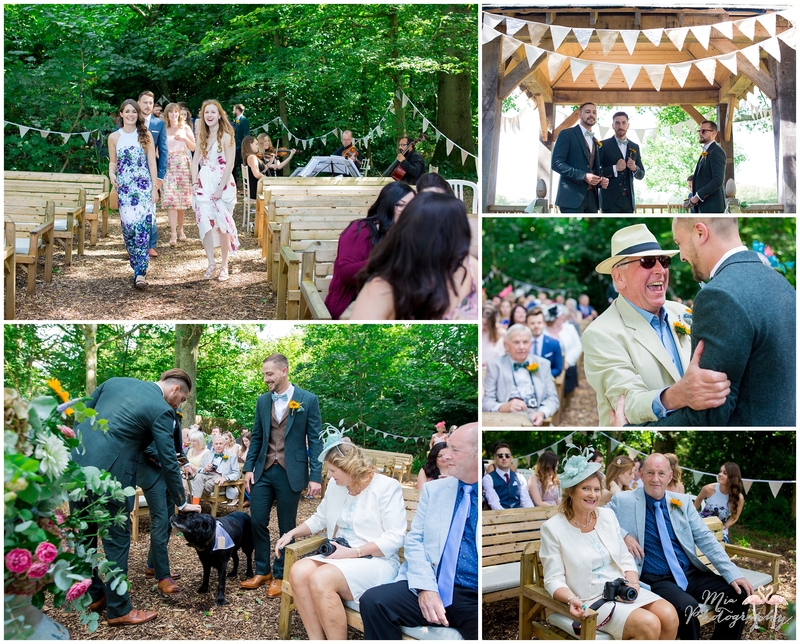 As the sun was shining and it was a super hot day, the ceremony was outside in the woods which I was so happy about as I know this was what Harriet & Carl were hoping for. 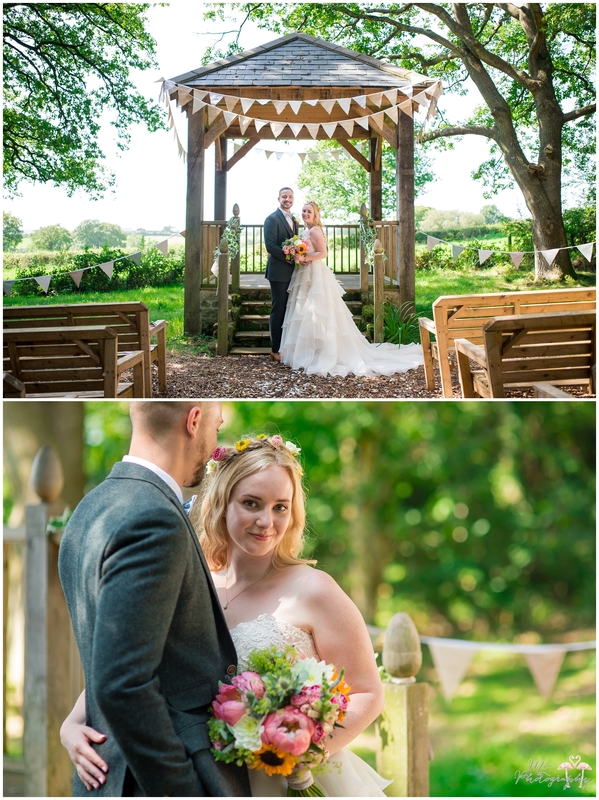 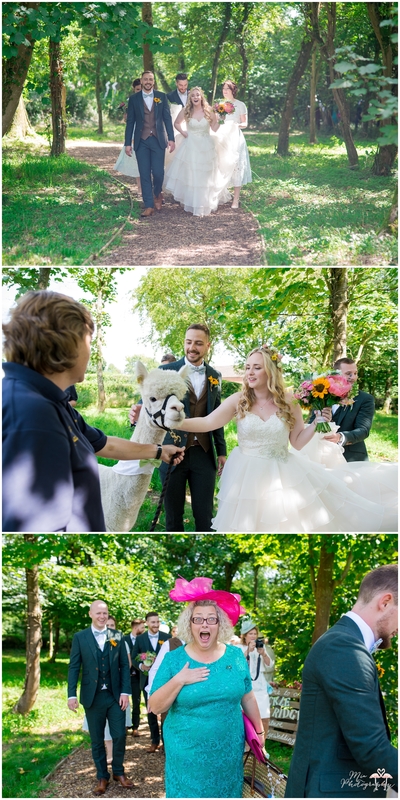 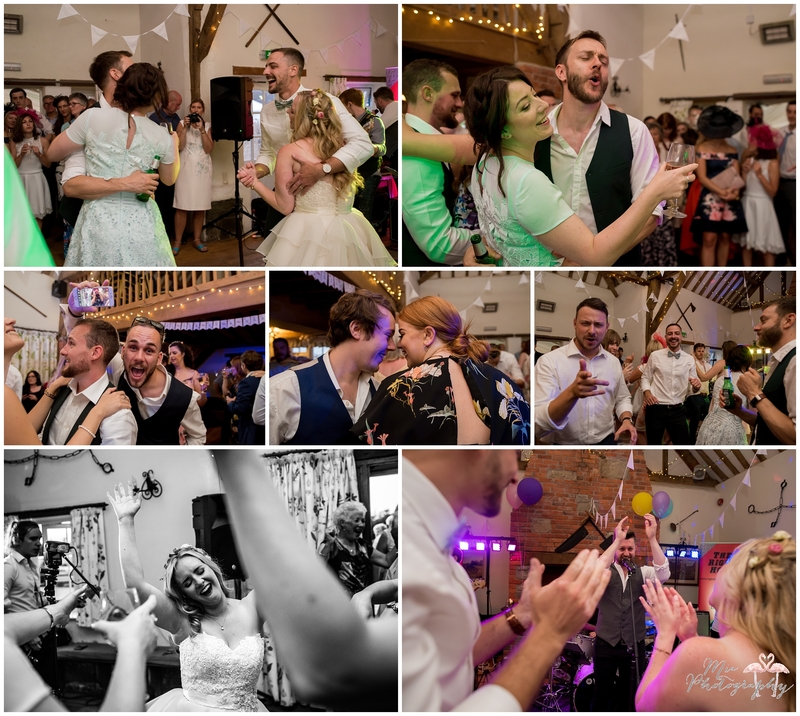 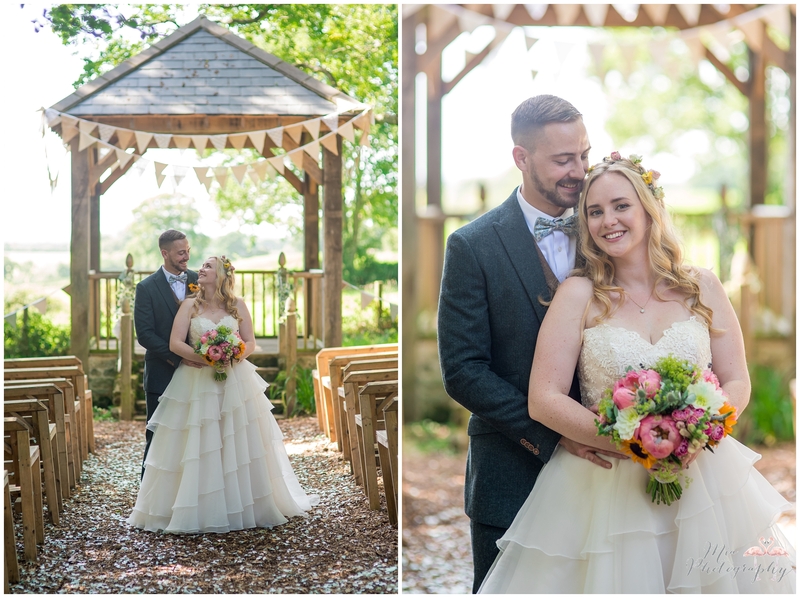 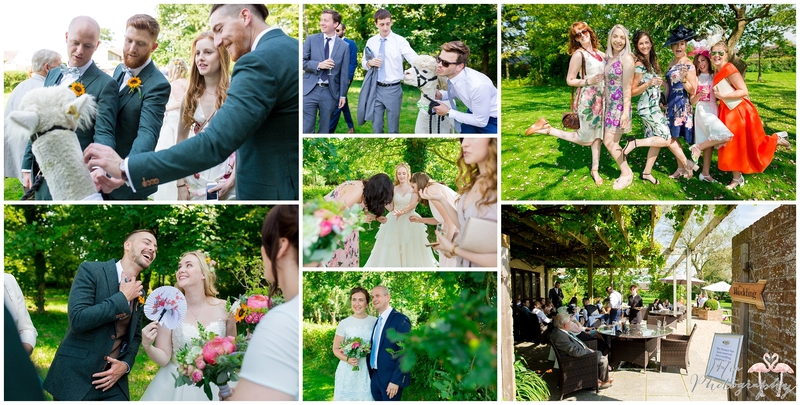 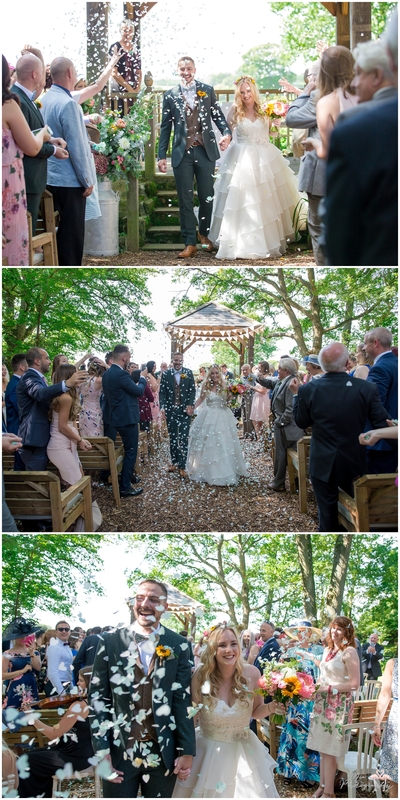 They were showered with an absolute storm of confetti as they exited the woods and made their way towards to gardens of the pub…just as they were met by two absolutely gorgeous and very friendly alpacas! 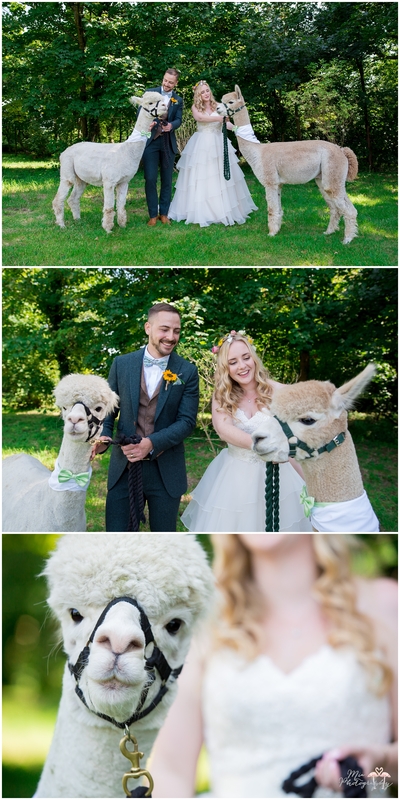 Because Harriet is a fan of these beautiful animals, Carl had arranged for them to visit as a surprise, so Harriet and all the guests got to have a little cuddle with them before enjoying the canapés and drinks out on the lawn. 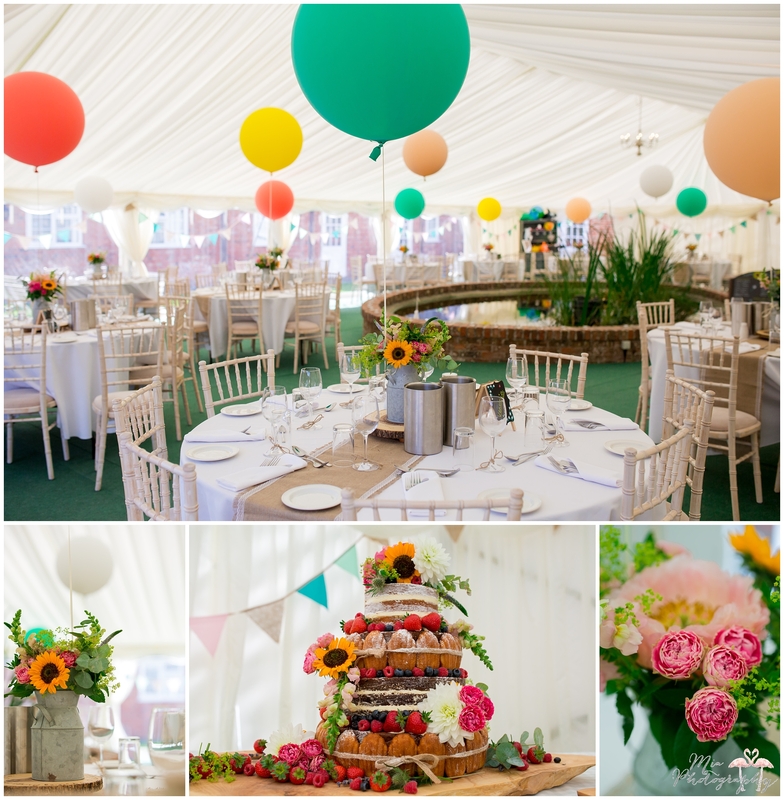 Once it was time for speeches we all went inside the marquee which was fabulously decorated with brightly coloured flowers and balloons, before we snuck off for some couple shots in the most incredible evening sunlight I’ve seen in a long time. 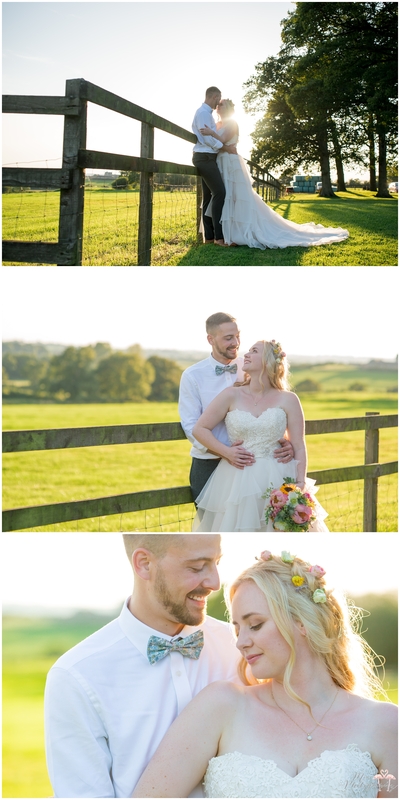 We were so lucky with that golden sunset! 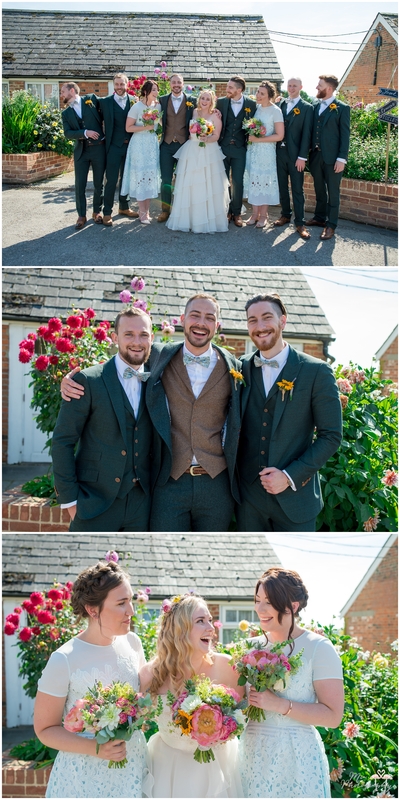 Thank you so much for choosing me guys, we loved every minute! 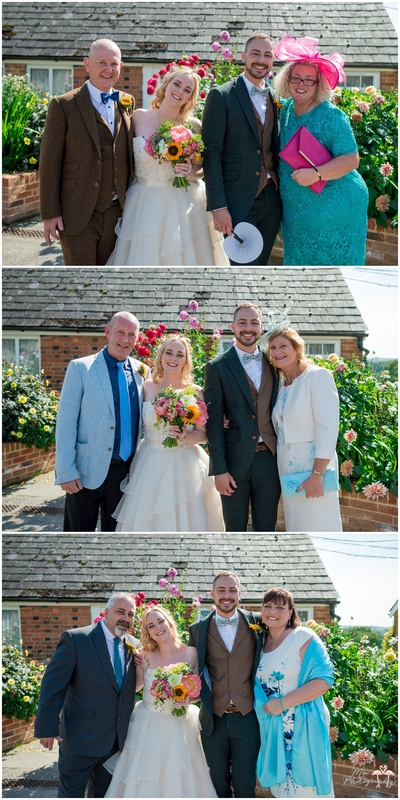 Thank you to Clare as always who second shot, some of these photos are hers. 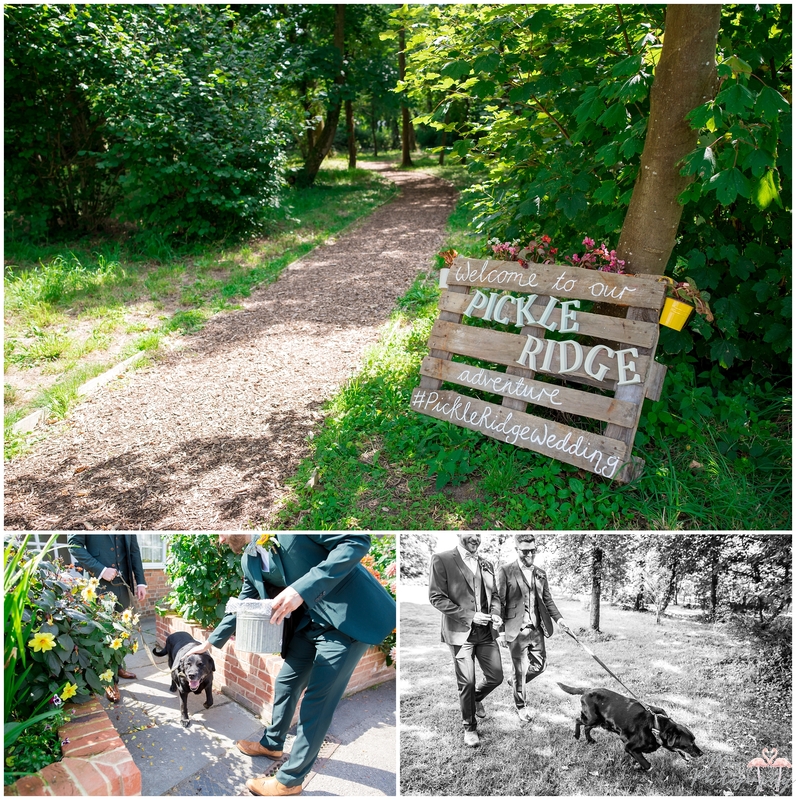 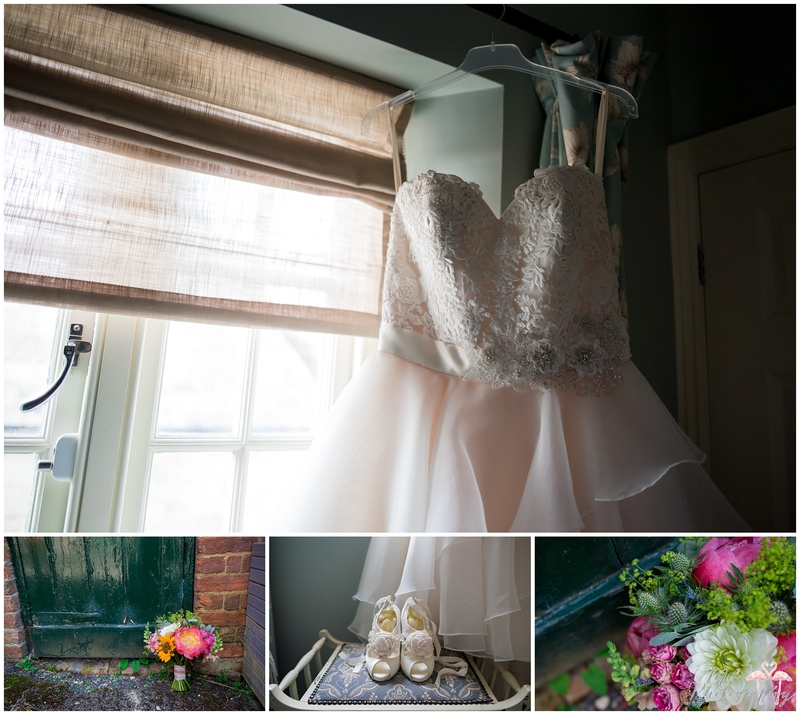 If you’d like me to shoot your wedding at The Coppleridge Inn, please email me here.